3-D Spikes License Plate Holder - Standard Size | BUDK.com - Knives & Swords At The Lowest Prices! Add some punk rock style to your ride with this detailed, hand polished metal spiked license plate frame. It features an awesome 3-D spiked dog collar design and is forged with durable cast metal alloy. 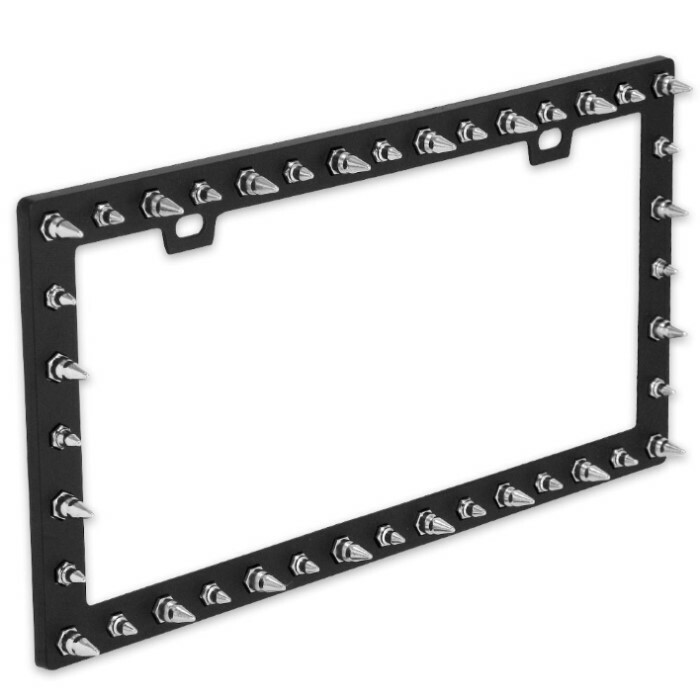 Fits any standard size license plate or front decor plate. Includes holes at the top for easy, secure mounting.